As you'll know UK racing is on hold due to the outbreak of equine flu. The BHA will be making an announcement on Monday about how long racing will be suspended, so we hope that they have acted quickly enough to contain any further spread and racing can start sooner rather than later. ITV have reacted admirably and are screening 5 races from Naas tomorrow and even though we don't normally cover Irish racing, we want to try and give you something to go to battle with so we have run the ratings for the Listed mares race and the 2 handicaps. We have also given our views but please note these are not be official Cleeve selections. Just 7 runners go to post with the Willie Mullins’s runner Pravalaguna the forecast odds on favourite. 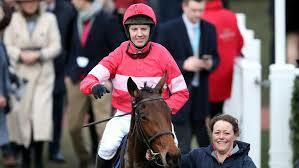 She looks the one to beat having won a Novice Chase last time out at Limerick by a comfortable 8 lengths. Even though she is on the small side she is still relatively unexposed over fences and has plenty of room for improvement. Baie Des Iles was pulled up last time out in the Welsh National but prior to that she won at Grade 2 level in France but was getting weight from most of her rivals and obviously wasn’t expected at 27/1! 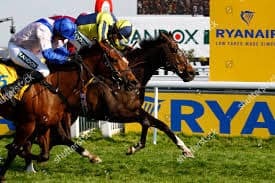 She ran in the Grand National coming a creditable 12th so jumping will not be a problem but this is probably on the short side for her and I will be surprised if she can go the pace against some of these. Mrs Lovett normally runs prominently and travels well in her races. She ran a shocker last time where she made plenty of mistakes and tended to jump right Warwick, but prior to that she had won a decent handicap at Fairyhouse. Of the others, Synopsis was an impressive winner of a Cheltenham Handicap before being pulled up at Huntingdon having lost her action. If she were fully recovered she could be a danger. I wouldn’t read too much into Ruby Walsh not riding Pravalaguna as they are trying to get Paul Townend the Irish Jockeys title this year and this looks like an ideal opportunity to get another winner in the bag. 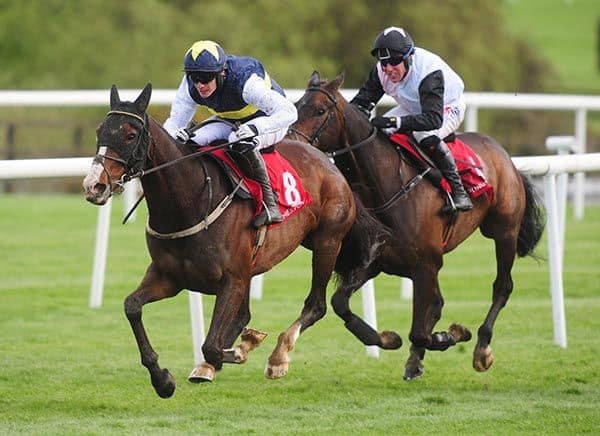 Roaring Bull was a fairly useful hurdler winning at Clonmel in November. 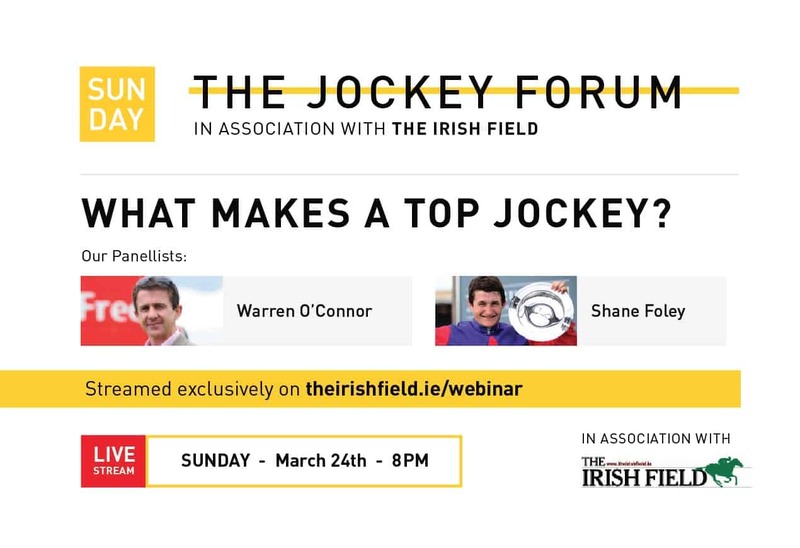 His form is decent over fences having won a maiden at Fairyhouse but he disappointed in handicap company last time being rousted along from very early on so maybe he wasn’t on a going day? If we forgive him for that run he could be in the mix here. Close Shave looked to be progressive last season but lost his way as his latest form figures of 312PPP-F0 shows. If he could recapture his form from the first part of last year he could be involved, but I would want to see him back on track before considering him for a bet. Velocity Boy ran a bit better than the bare form on his last run at Fairyhouse suggests. He was left with a lot to do and generally not seen to anything like his best. He made a real mess of the first then blundered at both the 15th and the 3rd last after which he wasn’t given a hard time and came home in is own time. He is now on a handy mark and will be dangerous if he can get his jumping together. Of the others, Bilbo Baggins is most feared after a fine run when runner-up at Galway in October. N.B. if you are going to have a bet Skybet, Betfair and Paddypower are all going 4 places. This isn’t a race for the faint-hearted… a 23 runner handicap over two miles with plenty of handicap debutants. It will be worth keeping a sharp eye on the market for any “plots” popping up. Empire Burleque ran a decent race in 3rd in a Punchestown handicap last time out and any improvement on that should see him in the mix here. He always looked the type to do better over fences. Wade Harper had a decent campaign over fences but has mainly been back over hurdles lately. He has a very poor win ratio and the step down in trip would be of concern. Lake Malawi has not run since Aug 2017 and that was after a 313 day break so there are obviously problems keeping him sound. I would want to see him run a couple of times before considering him. Of the others, Thereisnodoubt won impressively by 9 lengths last time at Clonmel and despite an 11lb rise in the weights if he shows any more improvement he will not be far away. All in all a very trappy affair with Joseph O’Brien saddling 5 of the runners with Leave Your Mark looking to be the pick of the handicap debutants.